Acid Proof Tiles : Acid Proof Lining Flooring. As a manufacturer we are also involved in providing our customer with complete range of Acid proof tiles, due to its acid proof characteristics are mostly used in acid industries. Acid proof tiles, being one of the most reliable materials in the range of anti-corrosive products can stand against the harsh chemicals and stains caused by corrosion. Acid proof tiles is with quality construction and bonding strength with water absorption time is 18-24 hours with acid resistance and damage resists proof. The superior quality of these tiles protect it from high resistance from corrosive and damaging effects of tiles, which is durable, and with bonding strength, high resistance against chemicals like strong acid alkalis, oils, solvent etc. We offer our products as per specific need of customer in various cuts, sizes, shapes and also considering industrial norms. 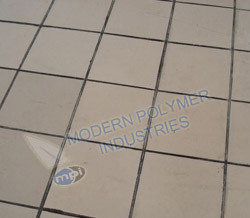 Acid Proof tiles are used in location like tanks, floors, drains, effluent treatment plants and others where there is high possibility of damages due to acid presence, and also used in industries such as thermal power station, petrochemicals, fertilizers, food, dyestuff, rayon, steel.